I already compared the 920Xt to the Polar V800 which felt a bit unfair as, but Polar has since updated their swim metrics making it a better competition. But the Ambit3 is already a worthy adversary. 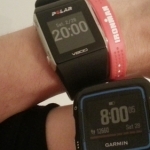 So here I compare the two sports watches from a triathlon perspective. Both watches come in a sporty design but the Suunto Ambit3 comes in a sleek black too. I wonder why Garmin decided not to make an all black model but opted for very brightly colored designs. They stand out, that’s for sure, Maybe it’s the new fashion and that’s why Cervélo went with a bright red coat of paint on the P5 too. The Forerunner 920XT has a built in step counter and the battery can last up to four months in watch mode where the Suunto doesn’t save this information. But for the eye, the Suunto looks better, unless you’re going to an eighties party, the Suunto will almost look like a normal watch. Both watches have the ability to work together with your phone, for the Suunto it’s iPhone only though, but they can display messages, weather etc. A little extra points for Garmin here as they allow third party apps to be developed via their new Garmin IQ, so let’s see how far this will go. Another fun feature of Garmin is, when paired with your smartphone your friends can cheer you on with little notifications on the screen and track your progress live on the Garmin website. The Forerunner 920XT and the Suunto both save all the usefull data (heart rate, cadence, power, speed, GPS, etc. ), so what I’ll focus on are the differences, where one is lacking or excelling in a swim, bike, run sequence, as that seems the most logical to me. Hello Suunto! The Ambit3 can record heart rate while swimming using the really small Bluetooth Smart Heart Rate sensor. The little HRM can even record your heart rate for you if the watch is inconvenient. However, when swimming the 920Xt has support for tracking the drills you do and can notify you by vibrations upon reaching a certain time or distance. 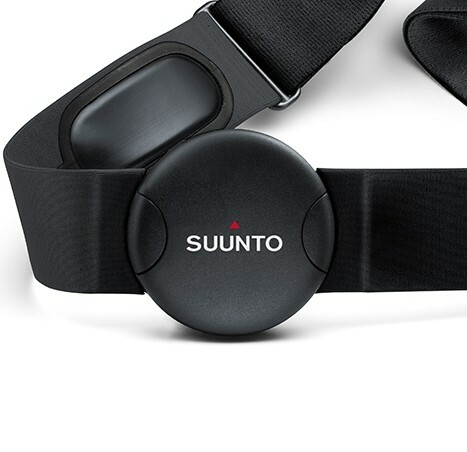 And since the Suunto does swim heart rate in a burst send when the wireless connection is restored I wouldn’t be surprised if Garmin will support this in the future too. The Suunto HRM Strap is available for $68. Not much difference between the two watches, but development in Cycling has been on a stand still in the last couple of years with only power meters becoming more and more available to ‘the common people’. The Ambit3 has BTLE and is thus limited on optional power meters, that means the majority of power meters are not compatible, but if you plan to upgrade, most of the new power meters, like Stages, support this too. And when hooked up to a HRM and power meter the 920XT can calculate your V02 Max and compare it to your age group competition. Also, you can get a quick release for the Garmin, which will allow you to mount the watch on your stem/steer and not have it on your wrist quickly, just like a ‘normal’ bike computer. Recording vertical oscillation is native to the 920XT (with the HRM) but this isn’t available on the Ambit3 both record cadence. 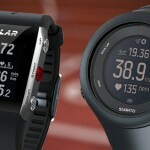 Suunto records it in the watch and Garmin uses support of the HRM for this metric. Also the Forerunner also has a metronome feature which will help on the technique aspect, question is, does someone who wants to pay $500 for a sportswatch need to work on their running cadence? Well, at least you can. Both watches will give you an estimated VO2 Max. The movescount app of Suunto is pretty neat. You can set all the settings of the Ambit3 using your iPhone. Only an iPhone. Nevertheless, pretty neat. But on the 920XT you can do this on the watch itself, even during your exercise you can change what metrics are displayed. For ultra athletes or trekkers, the 920XT and Ambit3 can be set to an battery efficient mode with GPS recording where it stores data less often but will be able to extend from 24 hours to 40 hours for the Garmin and up to 50 hours for the Suunto. So that would be a tie. It’s a close call between the two watches and the decision would be up to your preferences as I don’t think either is a bad purchase. The 920XT has all the features of the Ambit3 except for the swimming heart rate. It isn’t to say this won’t be a future feature, but would you bet on that if it’s important to you? If you’re upgrading from an existing setup with ANT+ or Bluetooth speed, cadence and power meter, stick to what is supported, Garmin is ANT+ and Suunto Bluetooth. These prices are the localised where possible. 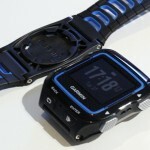 The Garmin 920XT is available from $312 on Amazon. 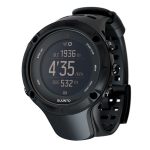 The Suunto Ambit3 starts at $254 on Amazon. More info about the Ambit 3 and it’s varieties are in my quick comparison. So? Wich one do you recommend? Well, it’s a close call and it depends on your personal preference. If you already invested in ANT+ power, speed and cadence meters go with the Garmin. If you have to buy everything, look at what matters to you, does heart rate during the swim weigh heavy on your decision? I think you’ve forgotten a important difference. Garmin use GPS and Glonass when Suunto only GPS. That’s true, but not by default (enable it via System->Glonass) and it does drain the battery a bit (-4hrs of the 24). But yeah it does add accuracy, which might come in handy on the track or in places with bad GPS reception. This is all nice … but … how does these top of the line watches compare to the 2nd best from each ? … not everyone will get the most expensive watch. I was looking to upgrade for a few years now and I just seem to be waiting for more/better. I am still rocking a Suunto t6c and it works just great after all these years. With HRM, Run and bike pods it stills works on a single battery for a year before changing it. Granted, there are lots of settings missing from my t6c but I seem to be able to do all training and races easily and reliably. GPS is not needed except for Stava bragging rights, and there is a phone for that. I did have a low end Gramin before this and I am just impressed with the Suunto quality. One thing I would add is that Movescount experience is different based on your watch and how you use it. Most of us need some place to analyse the data and figure out improvements and training changes. Movescount is nice but nothing can be done offline. My coach had a pad and paper to keep track of my progress. now he can see my Moves, but I am wondering how Movescount compares to Garmin Connect on these high end devices. How about live tracking ? If my t6c breaks down tomorrow … I would probably not buy anything that needs daily charging. Am I the only one in this situation ? Good point, and believe me, those comparisons are on my to-do list. I’ve been a bit busy the past couple of weeks moving house. I still have a handful products to review! One major difference not noted; for Swimming, my Suunto automatically pauses and restarts while doing intervals. For instance, if I am doing a set of 10 x 100 yd freestyle swims with 15 seconds rest between each 100 yd interval, I can set my Suunto to display the time I swam the interval, the distance swam, and the rest time, all simultaneously. When I finish each 100 yd interval, the Suunto recognizes you stopped swimming after a couple seconds and automatically freezes the interval time so I know how fast I went, freezes the distance, and automatically starts the rest timer. When my 15 seconds of rest is done, I just start swimming and the interval timer restarts automatically; I don’t have to push any buttons. Reading my wife’s Garmin 920 XT manual, it says you have to push a button to pause, and a button to restart. To me, I’ll keep my Suunto as it does all this automatically. I don’t have to worry about forgetting to restart, which would be a major pain especially for longer swims like 200 or 500 yd intervals. After the workout, all this interval data is saved and uploaded to movescount so I can track my interval splits. The suunto is idiotproof for intervals. if I had the garmin, I’m sure I would have numerous times where I would forget to start or pause the watch; I would hate to be in the midst of a 500 yd swim, and look at my watch during a flip turn to find out how far I’ve gone and realize I forgot to restart my watch. To clarify, during your interval sets, when the Suunto recognizes you stopped swimming after a couple seconds, it automatically corrects the times by subtracting the couple seconds off your interval time and adds them to your rest time – no buttons pushed. Then you just start swimming and the interval clocks and distance counter automatically restart – no buttons pushed. Thanks, I actually realised this too a couple of weeks ago when I took the Ambit3 for a swim again and I kept pushing the start stop button! You have to setup an interval screen on your watch. I set mine up with the interval timer on the top, the interval distance in the middle so I can read the distance during turns easier, and the interval rest timer on the bottom. Help me decide, please. My father is 66 years old and have cardiac arrhythmia and he swim as a physiotherapy. He needs to track his heart hate during swimming and would like to have the data to show to his doctors. 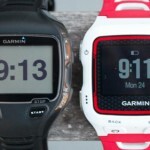 The Suunto Ambit3 is better? Hey Maira, both watches are for triathlon and I’d feel like overkill if you wanted one of these. You’d prbably get better data and spend less money when you buy a Finis Aquapulse (click here) for example. Maybe easier for your dad to operate too as it has only 1 function basically. The Finis won’t show the live data as it’s fixed to your goggles. Either the 920 or the Suunto should be capable of showing the data live and online. Just make sure for the 920 you buy the swim HR strap (which was introduced after I wrote this post), not the default. The Suunto has this by default, so if you had to choose, go with the Suunto, it’s cheaper and just as reliable for what you are looking for. 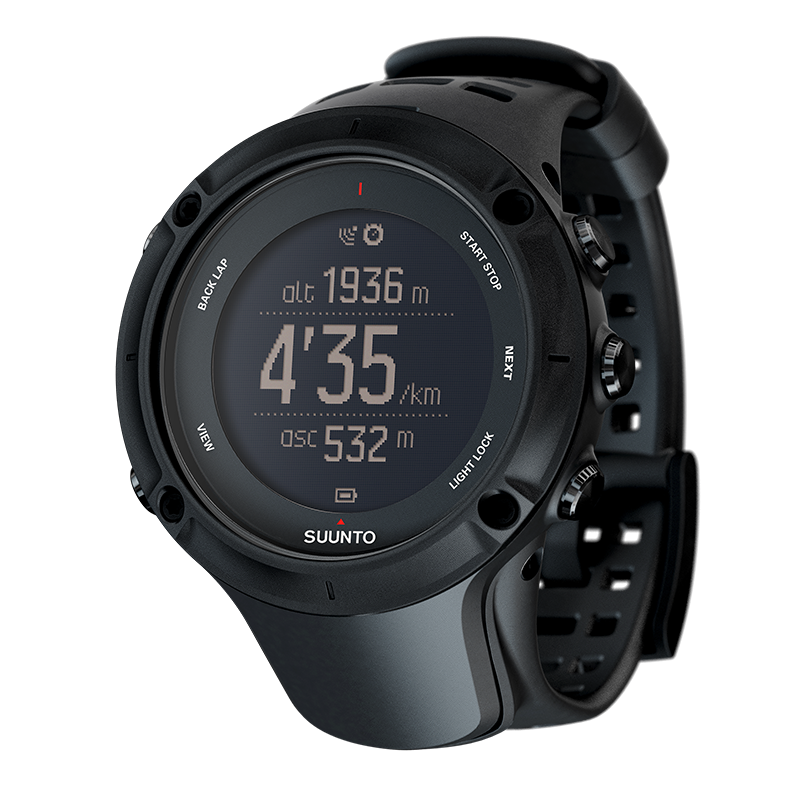 As a triathlete who races on average 6 times a season I can’t recommend the Suunto Ambit3. Firstly in theory the watch should work fine. The set up is easy and customizing it via movescount is great. Kuddos for that. However in real word situations here’s where it fails and I will give you an example. 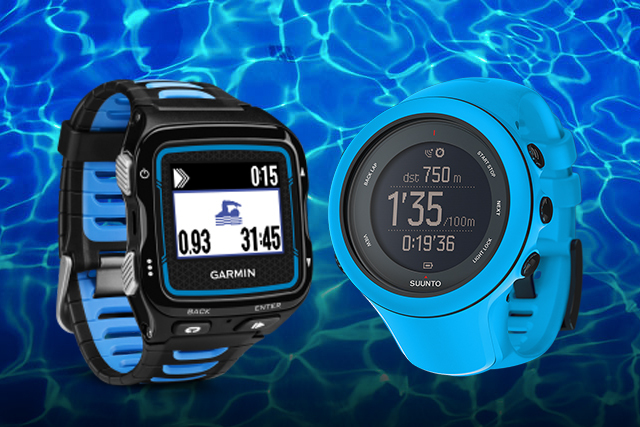 In triathlon mode with the Suunto you select triathlon as your exercise. You hit the start button on the top right to start the race (swim). Exiting the swim you enter T1, this is when you tell the watch to switch into transition. To do this you do not just tap the Lap button located upper left you actually have to hold it down until it switches. Try doing this on the run while stripping off your swim gear. If you do not press that Lap button down firmly and precisely all that happens is you create a lap and your swim timer keeps rolling. This is a huge fail on Suunto part. A triathlon transition should be done in 2 minutes. Having to muck about with the lap button is a fail. In case you are wondering the garmin’s handle this he same way but all you need to do is tap the lap button. Next you cannot view your individual triathlon sports using the movescount app. Again this is a huge fail. On the app all you see is one giant mess of an exercise. You cannot see a break down of each sport, swim, bike and run. In this day and age there is no excuse why this happens, hire better software developers and join the 20th century. So when can you see a break down of your triathlon? Only when you use the movescount website and you only get a minor break down of the sports, time, distance and pace. You do not get any other information for each sport like you would if you do an individual sport such as heart rate, elevations, cadence, swim strokes, PTE, so on and so on. And for you Strava junkies out there your triathlon data can only be viewed as one single sport, no breakdown. Huge fail. So if triathlon is your main activity by pass Suunto at all costs. Information is crucial in this sport and if you don’t have access to it then why bother with the product. Sorry Suunto, thumbs down. I just like to add that both systems have their pro’s and cons. I had someone bump into my Garmin after about 400m into the swim of a half distance. Right on the lap button and I was ‘technically’ in transition, stuffing up my data. Not common, but can happen.